Why an Advent for Life? Today, God’s eternal Word, the church calendar and contemporary culture intersect at a most opportune time. For starters, Jesus came that we might have life, full and abundant (John 10:10b). It’s no small thing that the holy, eternal Word of God took on flesh and entered human history as a baby. Do we who love the holy birth story also treasure the babes among us – beginning with the preborn? Advent also points us to Christ’s return for His Church. What will we say when we must give an account for our stewardship of human life? How does the Body of Christ treasure human life at all ages and stages of development, from conception to death? Four weeks of Advent, then four more weeks until the North American Lutheran Church’s 3rd annual Life Conference and the 46th March for Life, January 17-18, 2019. Once again, NALC Life Team members and church leaders will gather around Word and Sacrament before marching in witness for life. For each one who gathers for the march, countless more will witness at home, in local congregations, or wherever they happen to be that day. As a season of excitement and reflection, repentance and hope, Advent is a prime time for Christ’s Church to focus on how we might treasure more fully the gift of life. 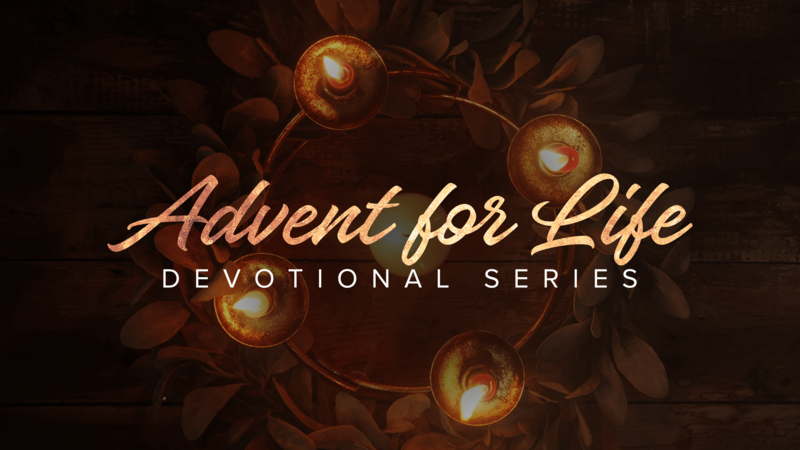 May this Advent for Life devotional series bring new perspective and depth to the old, old story of Jesus’ coming, both for the first time as the Babe of Bethlehem and at the end of time, when He comes again. Prayer: Lord, we ask that you shower your blessings on the participants of the NALC Life Conference and the March for Life. May this year’s conference reinvigorate our church body in its commitment to the protection of human life and allow our members to devote themselves more fully to the defense of those most vulnerable. In Jesus’ name we pray, Amen. Action Step: Find out more about the NALC’s 3rd annual Life Conference and the 46th March for Life by visiting thenalc.org/lifeministries. 9 For what thanksgiving can we return to God for you, for all the joy that we feel for your sake before our God, 10 as we pray most earnestly night and day that we may see you face to face and supply what is lacking in your faith?